The tentacled-faced Exotic vendor returns. Exotic vendor Xur has returned in Destiny but this time he can be found in the Vestian Output in the Reef. He will remain there until July 2nd, 2 AM PST. This week’s Exotic gear includes The Glasshouse	(Titan helm), Young Ahamkara’s Spine (Hunter gloves) and Starfire Protocol (Warlock chest), each for 13 Strange Coins. If you favour double Tripmines with longer duration and a free Fusion grenade, then pick up Young Ahamkara’s Spin and Starfire Protocol for the respective classes. As for the Exotic weapon on sales, it’s Hawkmoon. This handcannon costs 23 Strange Coins and can fire two bullets that deal additional damage. Though not as powerful as its prime, especially for Crucible, Hawkmoon is still a strong handcannon to be touting around. The Legacy Engram for this week is for Year 1 boots which costs 29 Strange Coins per Engram. 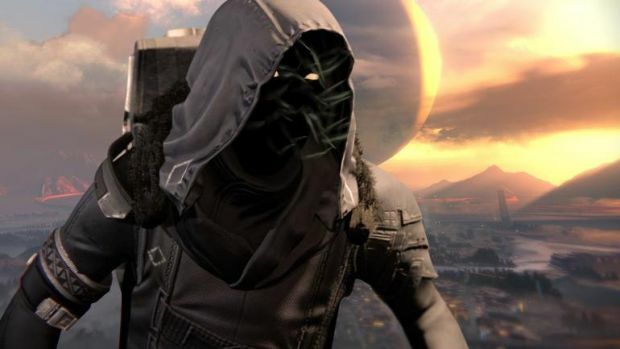 Xur is also carrying your usual assortment of Heavy Ammo Synths, Glass Needles, Three of Coins and so on.